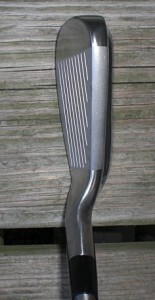 The results were a more iron like appearance at address with the forgiveness of most hybrids. The Aerotech hls hybrid shaft with a .370 parallel tip diameter and at 3.1* of torque kept the ball from ballooning and noticeably lower than a typical Wishon Golf S2S Hybrid shafts .335 parallel tip diameter that Tom Wishon designs for higher flight. This will appeal to some players that are looking to lower their ball flight. The “feel” or sound of the ball making impact on the maraging face was muted and not harsh but not the hot feeling you get from some utility iron or hybrid heads. Some of this maybe the shaft. On a par 5 with a well struck shot going into the breeze, the ball started on line and drew about 5 feet towards the pin and fell hole high. The Aerotech hls hybrid shaft definitely has a more tour like piercing trajectory. This Swing Science design by Jeff Sheets is a good one and could be added to any client of FGCC who prefers a utility iron and would choose Swing Science. 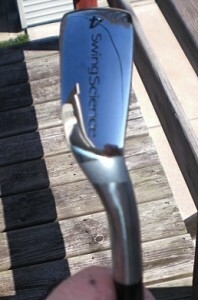 Cost is in line with other brands with the Aerotech shafts a bit higher cost because of quality. Click on images to get full size. 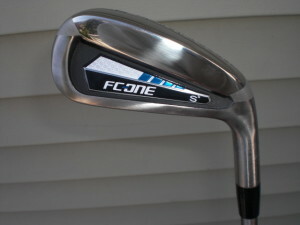 Next Next post: Local Madison Golfer Fit with Wishon 335HL Hybrids and 979SS Irons!